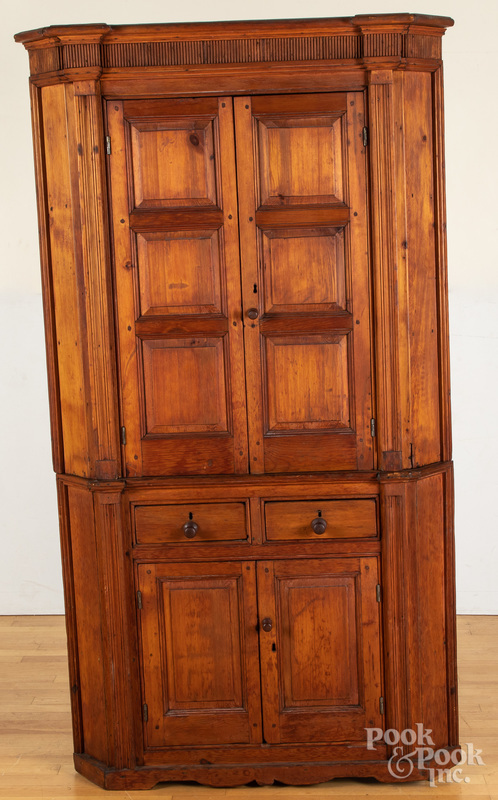 Pine two-part corner cupboard, ca. 1800, 78" h., 41" w.
The buyer's premium for in-house bidding (phone, in-house absentee, live) is 22%. The buyer's premium on Bidsquare is 25%.